Mr. Thomas “Dar” Montgomery, Sr., son the late Harry Montgomery, Sr. and Celia Jenkins Montgomery, was born September 5, 1937 in Orangeburg County. He entered into eternal rest on February 2, 2019 at the Regional Medical Center in Orangeburg, South Carolina. “Dar” grew up in Vance, South Carolina and was educated in the public schools of Orangeburg County. His work history included farming, road construction, and dock building. “Dar” was also known within the community and surrounding counties for his delicious barbecue. He was married to his childhood sweetheart Pearl Myers Montgomery. To this union was blessed with four children, two preceded him in death: Cynthia Montgomery White and Thomas Montgomery, Jr. 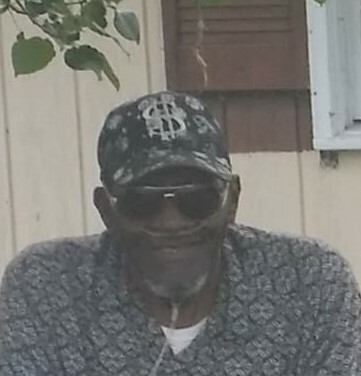 He was also preceded in death by his grandson: Jammey Javon White; siblings: St. Clar Montgomery, Walter Montgomery, Clint Montgomery, Sr., Henry Montgomery, Sr., and Willie Montgomery. He leaves to cherish precious memories: his loving wife for over 50 years, Pearl M. Montgomery, three sons: Curtis (Claudia) Montgomery of Orangeburg, SC, Rogene Montgomery of the home, Alexander (Jawanna) Johnson of Pennsylvania; a daughter: Ella Mae (Fred) Jamison of Vance, SC; one brother: Harry Montgomery of Holly Hill; one daughter-in-law: Barbara Montgomery; two sister-in-laws: Pernell Funderburg of New York and Ollie Mae Montgomery of Santee, SC; a niece: Joyce Funderburg raised in the home, Bronx, NY; 18 grandchildren, 32 great grandchildren, and host of nieces, nephews, and other relatives.